MacBook Pro's Touch Bar "compromises exam integrity." After being snubbed by some professionals for its 16GB RAM limit and lack of traditional USB ports, the new MacBook Pro with Touch Bar has now been banned from bar examinations in a number of U.S. states. 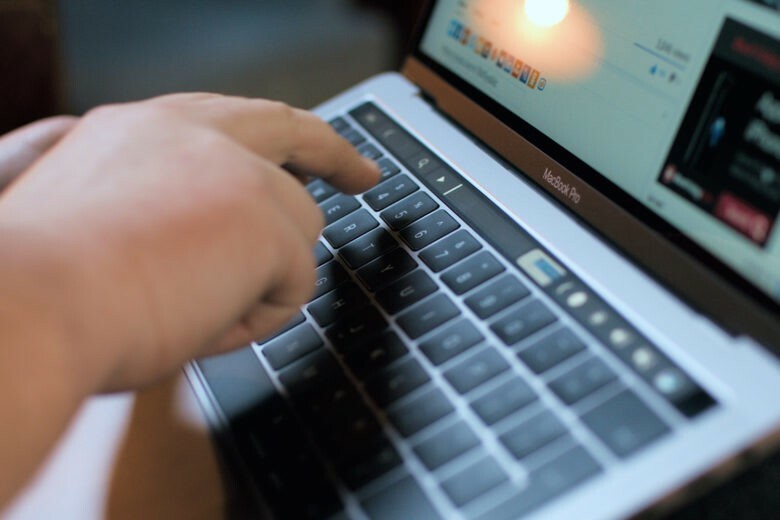 A testing company has warned that the Touch Bar — specifically its predictive text feature — compromises exam integrity, so students are forced to use another laptop. Despite its critics, its limitations, and its crazy price tag, the new MacBook Pro has been incredibly popular since making its debut. Apple says it is its fastest-selling pro machine to date, but those who bought one to study law are going to regret it. CNET reports that machines equipped with the swanky new Touch Bar have been banned from bar exams in a number of U.S. states, including New York and Colorado. Others, such as North Carolina, will allow them so long as users disable the predictive text function. The reason? According to ExamSoft, a company that provides exam management solutions, the predictive text function compromises exam integrity by assisting students with their test answers. In states where the machine has been banned completely, students who turn up with one will be forced to write their answers on paper. In states where the machine is allowed with predictive text disabled, invigilators will be present to verify the feature is turned off.